It was a story of separation, but not the one nearly half of Quebec voters had hoped to see unfold after the 1995 referendum. It was a story of separation, but not the one nearly half of Quebec voters had hoped to see unfold at this point in 1995. On Oct. 30, 1995, the referendum didn't lead to Quebec's independence — though the vote was very close, with the federalist side barely winning 50 per cent. 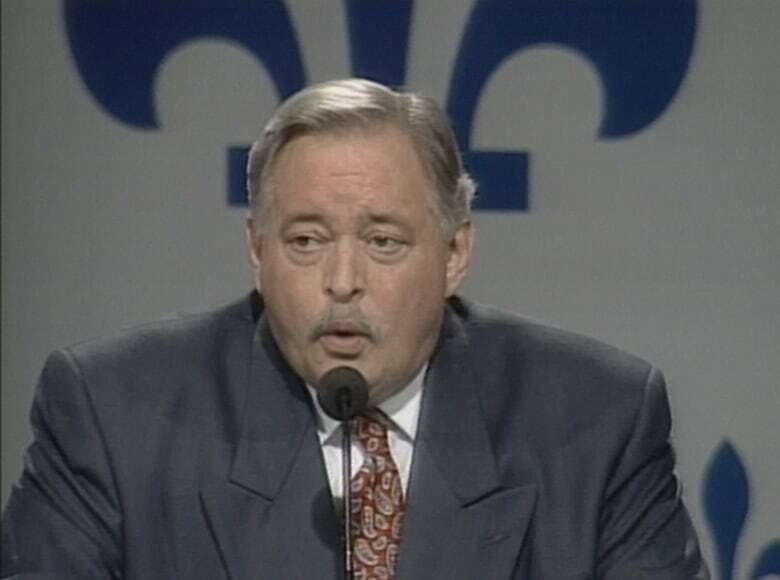 A day later, Quebec Premier Jacques Parizeau announced that he would be resigning as an elected member of the National Assembly, and as premier, at the end of the legislature's fall session. "It's not up to me to bring Quebec to its next rendezvous with sovereignty. Others must do it," Parizeau told a news conference, while speaking in French. Parizeau claimed he'd previously decided to resign if he lost the referendum. But his exit followed highly inflammatory remarks he'd made the night before, when Parizeau now-infamously blamed the referendum outcome on "money" and "the ethnic vote." He didn't back away from his stated viewpoint when discussing it again the next day. "I used words that were strong last night, but they underline a reality that exists and I'm sorry that it exists," said Parizeau. When reporters asked Bloc Québécois Leader Lucien Bouchard for his reaction to Parizeau's comments, he told them all voters are equal, all being citizens of Quebec. The CBC's Tom Kennedy reported there was immediate talk of drafting Bouchard to replace Parizeau — and that's exactly what happened. Bouchard stepped down from his role as a member of Parliament in January of 1996 and became the next premier of Quebec later that month.